February: More than romantic love. February the month of romantic love. Sorry but in my opinion just another excuse for card companies, florists and chocolatiers to make money. 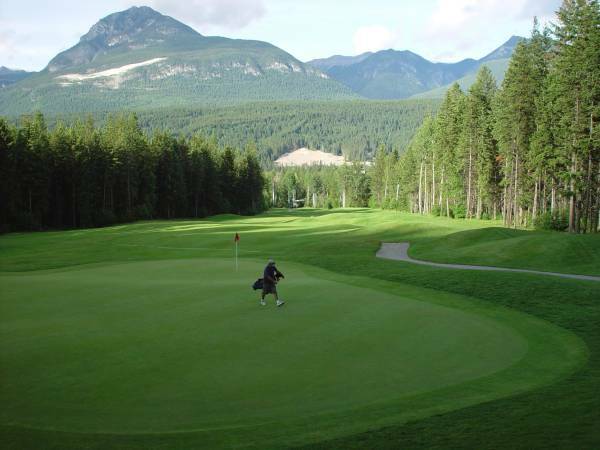 For me February is a month closer to spring and golf season, not only that but it is the shortest month of the year. Hurry up March and spring. Planet Earth takes 365 and one quarter of our days to make its transit around the sun. How do we reconcile that odd figure? Every fourth orbit around the sun earthlings make an accounting adjustment. The year 2016 is a Leap Year. Normally February has 28 days but in Leap Years (every fourth year) it has 29 days to facilitate this accounting adjustment. Those who happen to have been born in a leap year on the 29th day of February get to celebrate a birthday only every four years. Nice way to deceive oneself I think. The big sports event of February is the National Football League’s Super Bowl. This is a major event this month and this year is the 50th time the game has been played. Football makes this a great month, but then the season is over which is sad. The big games is usually played the first Sunday of the month. The new Canadian flag was introduced in February 1965 which is another reason to celebrate. The red maple leaf gives us a rallying point and has become the symbol of Canada throughout the world. Here are some other interesting observances for the month of February. So enjoy February whatever your perspective. People kill people, guns make it easier. The gun violence and mass killings taking place in the United States shocks us all. It is gut wrenching to read about the victims of this violence. A solution is elusive. Every time these shootings happen a cry for gun control begins. Better gun control may or may not help. Some argue that guns kill people, others that people kill people. People may kill people, but guns make it far too easy to kill people, and too easy to kill many people. It is too easy to just scream for more gun control. So what is the answer? First gun control measures are in place in most States now, but it still seems too easy for people with mental problems to obtain these weapons. The problem of gun violence will not be solved overnight. Gun culture is prevalent in American society and has been since the country was founded. Guns are not inherently bad, but they are deadly weapons that must be treated with respect and not abused. Responsible gun owners know this and they are not the problem. 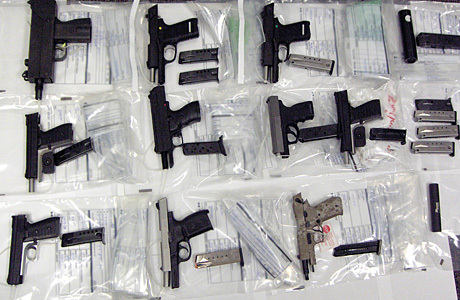 The problem begins when these weapons get into the hands of criminals or disturbed individuals. Predicting when these events will happen, that is when a disturbed individual will snap and go on a shooting spree, is almost impossible. Gun control laws are only a half measure if some effort is not made to identify and to help individuals with mental illnesses before they strike. – guns will be part of the American culture forever. – effective gun control in some form or another is needed. – mental illness is part of human health concerns. An attempt must be made to resolve this issue. My suggestion is the formation of a bipartisan Congressional or a Presidential commission on Gun Culture and Gun Control. This commission should be made up of all affected parties, gun owners, gun manufacturers, law enforcement, mental health experts, victim advocates, and legal experts. The mandate should be to investigate all sides of gun ownership and gun violence, what is working and what is not working, summarize their findings, and make recommendations for improvement (changes or new measures). The primary thing this would accomplish would be to get a national dialogue started on all aspects of this violence. In my opinion the American people must attempt to resolve and mitigate this cancer in their society. 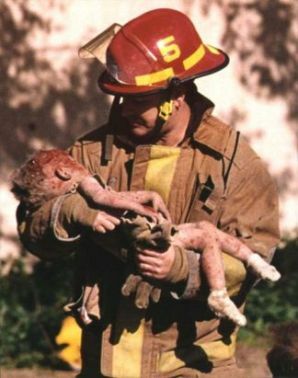 Suffer the little children: The Oklahoma City Bombing 20 years later. 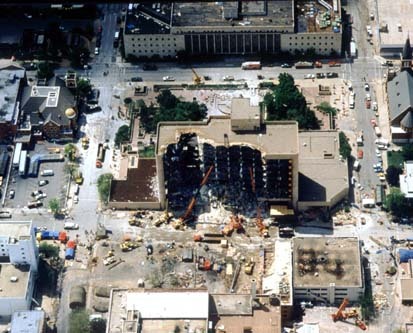 Just after 9 am on Wednesday April 19, 1995 a massive explosion destroyed the Alfred P. Murrah Federal Building in downtown Oklahoma City, Oklahoma. This was a work day and the building was full of office workers just starting their day. The lower level had a daycare centre where employees could leave their children to be looked after while they were at work. Alfred P. Murrah Building after the bombing. Photo by US Army Corps of Engineers. The bomb killed 168 people and injured more than 680 others. Included in the death toll were 19 children under the age of six. A massive rescue operation took place over the next days to find and help others trapped in the debris of the building. The explosion destroyed or damaged 324 buildings within a 16-block radius. Glass was shattered in 258 other buildings and 86 cars were destroyed. An estimated $652 million dollars damage resulted. The Oklahoma City Bombing was the worst act of domestic terrorism in American history. Timothy McVeigh the mastermind behind the terrible crime was captured within 90 minutes. Oklahoma State Trooper Charlie Hanger stopped him for driving without a license plate. The officer arrested him for illegal weapons possession. Investigators used forensic evidence to link him to the attack. Terry Nichols, Michael and Lori Fortier were identified and arrested as accomplices. The bombers rented a large truck from Ryder, packed it full of explosives and parked it in front of the building. The bomb was timed to detonate just after the start of the work day when the maximum number of people would be in the building. The bombers were tried and convicted in 1997. The Federal government executed McVeigh by lethal injection on June 11, 2001. Terry Nichols received life in prison without parole. The Fortiers testified against McVeigh and Nichols. Michael got 12 years in prison with Lori receiving immunity for her testimony. Today the Oklahoma City Memorial sits on the site and annual remembrance services are held on the day. The memorial consists of a chair for each victim. There are 19 small chairs representing the children. Reading about this event and seeing the pictures I know that evil exists. The victims in this bombing weren’t soldiers, but office workers and children. Innocents going about their everyday routines. 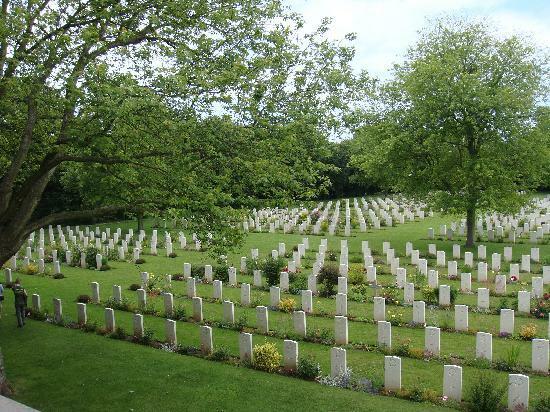 Tragically this day they never returned home to their families and friends. The shockwave of the blast still echoes today 20 years later.